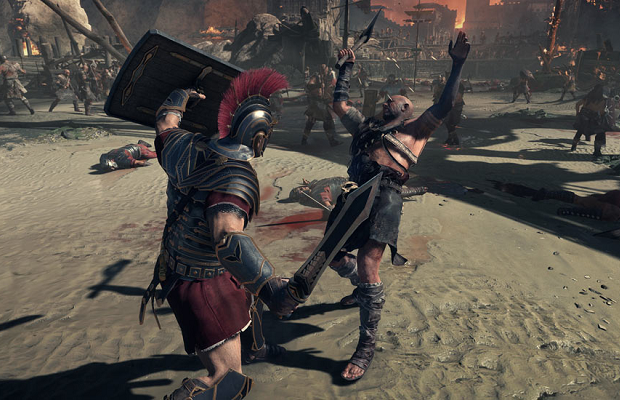 In a new video from Crytek, the developer shows off how combat will work in the upcoming Xbox One exclusive Ryse: Son of Rome. The combat is said to include many animations with varying camera angles to make the player feel a sense of excitement during combat. The key is to chain together attacks, similar to combat in the Batman: Arkham series. The video also takes users behind-the-scenes to see how each animation was choreographed. Ryse: Son of Rome will be available for the Xbox One this November. What do you think of the combat? Exciting? Bland? Let us know what you think in the comments below or follow us on Twitter and like us on Facebook.